A+E Consult carries out initial soil investigations and risk assessments to remediation projects and monitors soil decontamination projects. We are an enthusiastic team of engineers recognised by OVAM (the Flemish public authority for waste materials) as type II soil decontamination experts in Flanders. 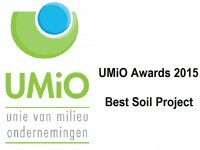 We are also recognised by the Walloon Department of Soil and Waste as a category 2 soil management expert. During the first soil investigation, we screen your land and take the necessary soil and ground water samples from zones unlikely to be polluted and zones with a high risk of pollution, as well as areas containing storage tanks, production zones and fuelling stations. If your land turns out to be free from soil pollution according to the current regulations, we will send the report to OVAM, with your approval, to obtain a soil certificate. If soil pollution is present, our descriptive study will determine the probable age of the pollution we find. We will use bore holes and/or install monitoring wells to obtain a three-dimensional image of the pollution. We will also establish the geological composition of the soil, so that we can gain insight into whether the pollution is spreading, and we will carry out a risk analysis. It will be clear from the results of the descriptive soil test whether your land needs to be decontaminated. If serious soil pollution that needs decontamination has been found on your land, we will propose various methods suitable for your type of land and the pollution affecting it. We will always do our very best to find the most suitable remediation technique for your soil problem within the available time and budget. Nowadays we do not always need to think in terms of excavating the polluted soil to decontaminate it. 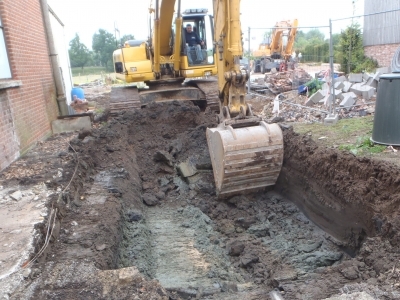 Besides traditional on-site decontamination techniques such as ground water removal and soil vapour extraction, bioremediation and chemical oxidation are also being used more and more. Techniques such as six-phase heating, reactive barriers and soil mixing are also on the increase. A+E Consult also provides extensive expert advice on ongoing studies and/or decontamination projects. Furthermore, we provide technical reports, offer advice in requests for innocent ownership status and soil certificates and act as technical advisers in legal cases.